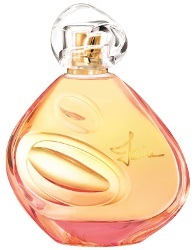 Sisley has introduced Izia, a new modern rose fragrance for women. Izia is a fragrance that centres on the noble rose. This unique scent opens with radiant and sophisticated top notes before moving to a seductive floral heart. A woody base is softened with musk to create an assertive and sensual trail. The notes include bergamot, pink pepper, aldehydes, d’Ornano rose accord, transparent floral accord, angelica, cedar, amber accord and musk. Sisley Izia is available now at Harrods, in 30, 50 or 100 ml Eau de Parfum. I will give it a shot next time I’m near a Sisley counter, you never know. Eau de Soir is still in my top five rose frags of all time so I’ll give this a sniff if I can find it. Sisley isn’t that easy to find near me, but I think both Saks & Neiman Marcus have it. Can’t remember now if Nordstrom does. Honestly i’m curious why they choosed such an ugly bottle for their new launch. I have no idea if everyone will think it’s ugly, but we agree. I think the Eau de Soir bottle is ugly, so maybe they’re trying to be consistent. Ha! I am not a huge fan of that bottle, but I do like it WAY better than this one. I guess not everyone has good taste. ???? I got the sample of it since my rose is my fav scent. I overdose myself and I went my laser appointment. Immediately, the Esthetician asked me the name of my fragrance.